The Winnipeg Jets announced today they have agreed to terms with defenceman Johnathan Kovacevic on a two-year, entry-level contract with an average annual value of $925,000. Kovacevic’s two-year deal will begin next season. He has signed an amateur tryout contract with the Manitoba Moose and will join the club for the remainder of the season. 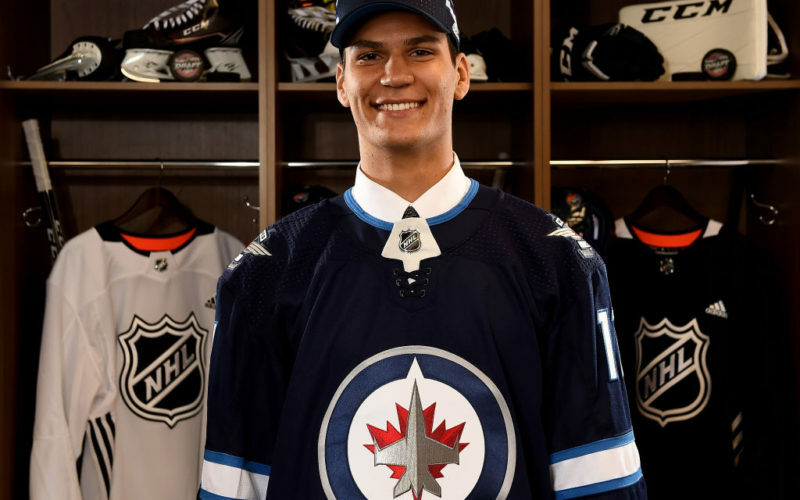 Kovacevic, 21, was drafted by the Jets in the third round (74th overall) in the 2017 NHL Draft and just completed his junior season with Merrimack College. The Grimsby, Ont. native recorded 18 points (4G, 14A) in 31 games for the Warriors and was voted the team’s Most Valuable Player. Kovacevic’s 18 points led all Merrimack defencemen and was tied for seventh among Hockey East blueliners.